The patty is hearty and satisfying. Filled with a variety of vegetables and spices, it is a substantial recipe. We recommend that you make as many patties as you believe you might use over a month because they’re easier to make in bulk. In a sauté pan, sauté onion, garlic, and salt in oil over medium heat until translucent, about 5–7 minutes. Add in tomatoes. Cook 3 more minutes. Add lime juice and all spices. Stir to combine. Let mixture cool for 20–30 minutes and set aside. Once cool, combine mixture with pinto beans, tempeh, sweet potato, celery, zucchini, nutritional yeast, miso, flaxseed, and masa in large mixing bowl and knead with hands for about 1 minute. Let mixture chill in fridge for at least 20–30 minutes, or up to 2 hours. Form patties using ½-cup balls of mixture (use oiled ½-cup scoop or ½-cup measuring cup). Place patties on baking sheets lined with parchment paper. Bake for 15 minutes. Check for firmness and then flip. Bake for 10–15 minutes longer, until golden brown. Alternatively, cook on stove top using a frying pan and spray oil to prevent sticking. Cook each side until firm, about 3–5 minutes. Store in refrigerator for up to 5 days. Store in freezer for up to 1 month. 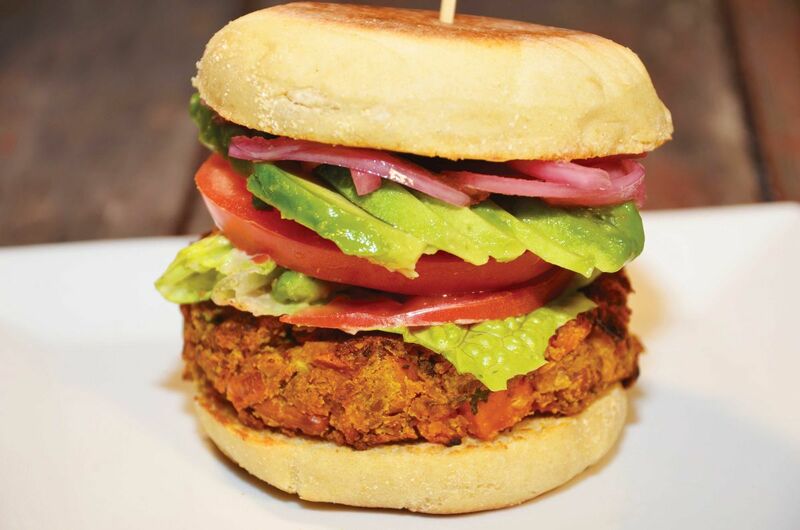 Serve on vegan burger buns with pickled red onions, avocado, tomato, and lettuce. Combine all ingredients and let marinate for at least 1 hour before serving. 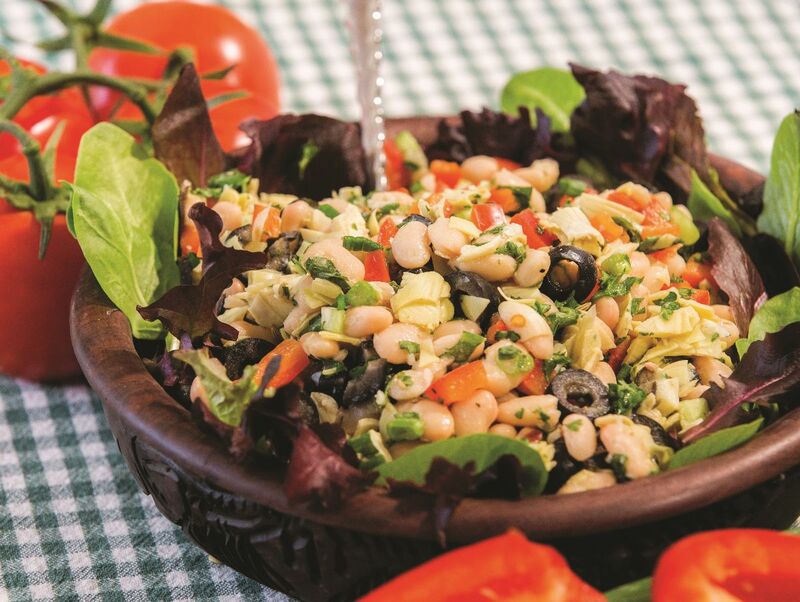 This is a delicious summertime dish that is full of fresh herbs, beans, olives, and artichokes. It’s easy to change the vegetables and try seasonal ones, such as tomatoes, avocados, or cucumbers. Place the beans and vegetables into a large mixing bowl. Add the dry seasonings and fresh herbs and stir to combine. In another bowl, mix together the lemon juice, vinegar, and Dijon. Add this mixture to the beans and vegetables and stir to combine. Add salt and pepper, more or less to taste.